After 24 years of being on television screens, Power Rangers has always made an effort to honor its earliest incarnations. Seasons like Power Rangers Megaforce allowed fans of the show to fully embrace the nostalgia by having a new team with access to all of the old teams’ abilities. The series also brought back several veteran Rangers for cameos. The season was full of winks and nods to kids who knew their Power Rangers history and adults who had been watching since the beginning. Easter eggs have long been a part of the series, however. Whether it’s self referential by having a character talk about a planet first mentioned five seasons earlier, or whether it’s still calling the Power Rangers vehicles zords even though Zordon has been gone for more than 17 years, the show has always found a way to squeeze in a few fun winks to the fans. Many of the best Easter eggs in the series are hidden fairly well, and link back to the time when Angel Grove was the source of the action and Zordon was the one with all the answers. It’s nostalgia time! 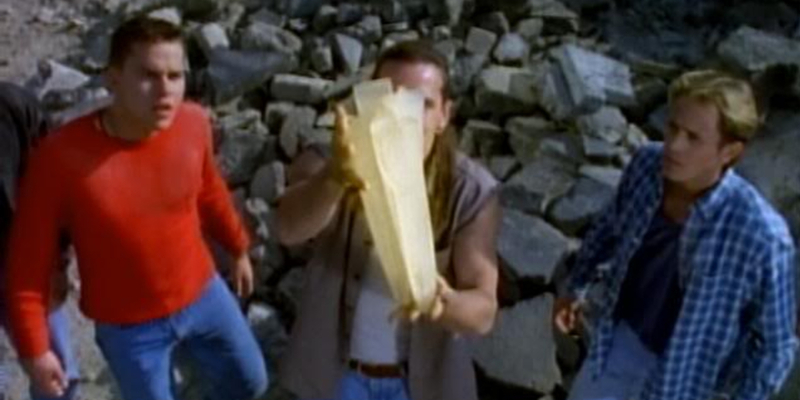 Let’s look back on 17 Hidden Easter Eggs You Missed In Power Rangers. When Rita Repulsa escaped from her space garbage can and set out to conquer Earth way back in “Day of the Dumpster,” Finster was one of her trusted advisors. He seemed like a relatively kind guy compared to Rita, but he was in charge of cooking up monsters for the sorceress. Finster most often built his monsters out of clay, and he had a big book that reminded him just how to bring them to life. Not all of the monsters in his cookbook were actually his creations, though. If you catch a glimpse at the pages, like in the episode “Happy Birthday, Zack” in season one, you can see some very interesting sketches. Mr. Ticklesneezer, a monster made from one of Trini’s dolls that she dreams about (but was never actually made by Finster), is included there. Why? The book was actually filled with concept art for the show. Ultimately, Rita employed the Knasty Knight in the episode. This is one Easter egg that certainly would have gone over the heads of young kids watching the first season of Mighty Morphin Power Rangers - unless they were big musical theater or classic literature fans. In the Halloween themed outing “Trick or Treat,” several of the characters sport different costumes for the episode. Skull in particular is dressed in striped prison garb, but he isn’t just any prisoner. Thanks to the “24601” written on him in marker, we know that he was actually dressed up as Jean Valjean, the escaped prisoner in Les Miserables who spends much of the story trying to outrun the law and take care of his adopted daughter Cosette. Is Skull a closet Le Mis fan? Probably not. The actor who played him, Jason Narvy, studied and worked in theater before and after his time on the series. All three major fight scenes featured shots from previous episodes. 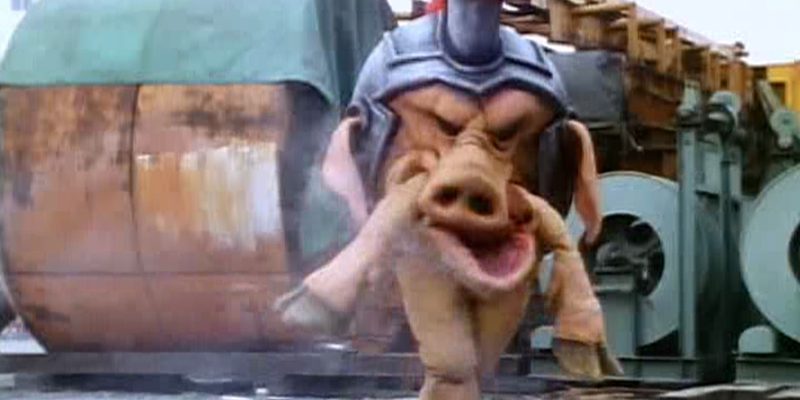 The Rangers had previously battled the monster of the episode, Pudgy Pig, in “Food Fight,” and much of his fight was reused from that episode. The editing team simply removed the footage of him eating the Power Rangers’ weapons in the previous episode. Their fight with Rita Repulsa’s minion Scorpina, likewise, was recycled from an earlier battle in the “Green With Evil” multipart story arc. When the series made the shift from Mighty Morphin Power Rangers to Power Rangers Zeo in season three, it wasn’t just the suits and zords that changed. Some of the team members found their color designation changing, and one cast member left the show completely. Those changes were foreshadowed thanks to the Zeo crystal. The crystal was broken into five pieces, and each of the Rangers had to travel through to a different time in their family’s history to retrieve a piece. The shapes the crystal was broken into became the shapes associated with each Ranger, visible on their helmets, but the crystals also glowed when each Ranger found one, signifying more change. Rocky’s crystal turned a bright blue, even though he had been the Red Ranger, hinting that he would soon be receiving a blue suit as Tommy became the Red Ranger. Aisha’s crystal glowed yellow, but not in her hands. Instead, the crystal glowed when her new friend Tanya touched it. Tanya would go on to become the new Yellow Ranger. Near the end of the first season of the show, Rita Repulsa sent a shark after the Power Rangers in “On Fins and Needles.” While sharks are usually fearsome and known for sharp teeth in the real world, on Power Rangers, Slippery Shark held his power in a fin on a chain and was able to sow discord amongst the team. He stoked the fires of Tommy and Jason’s rivalry until the two were able to come together to defeat him. 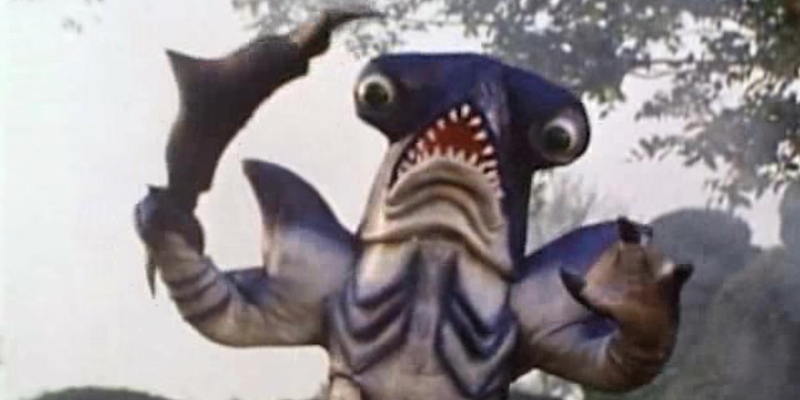 Slippery Shark did make a few more appearances thanks to a resurrection from Lord Zedd, but he also had an unexpected one in Power Rangers Turbo - at least in name. When the youngest Power Ranger entered a soapbox derby, one of the other cars in the race was named the Slippery Shark. There also happens to be a car named Zack Attack, which sounds an awful lot like a nod to the original Black Ranger. Power Rangers In Space gave a nod to the horror classic Invasion of the Body Snatchers with “Invasion of the Body Switcher,” which featured a monster who was able to change the appearance of himself, and others he used his power on. Much of the episode was focused on the monster having switched one of the Power Rangers with their enemy Astronema, but he also did plenty of switcheroos on himself. 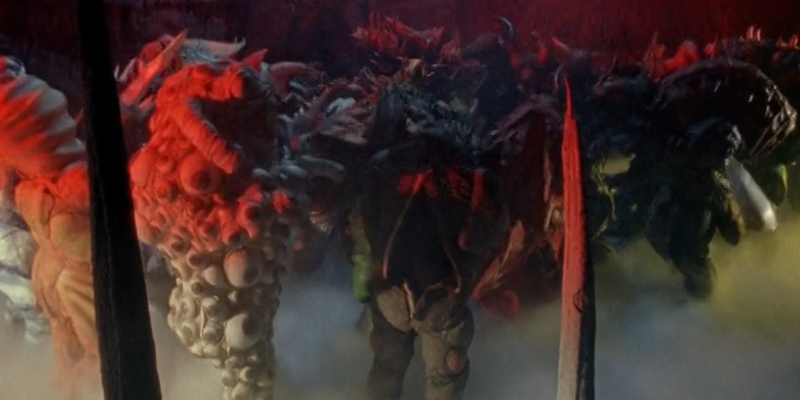 The monster changed into several other creatures over the course of the episode, but they weren’t ones that had previously featured in the Power Rangers In Space season. 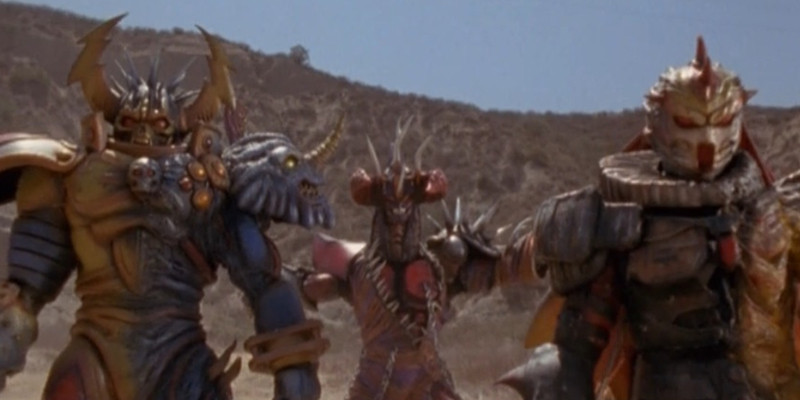 Instead, they belonged to another Saban property: Big Bad Beetleborgs. Body Switcher actually appeared as five monsters from the other series, including Cataclaws, Firecat, Unctuous, LottaMugs, and Rocket Man. It wouldn’t be the only time the show would borrow a few Beetleborgs costumes. Scenes that involved crowds of monsters often mixed classic Power Rangers monsters and Beetleborgs beasties in the background. During Power Rangers Turbo, it was the villainous Divatox who made life difficult for the Power Rangers, but she left Earth behind not long after Zordon left the planet, heading toward home. She joined forces with other evil entities, intent on ridding the universe of Zordon once and for all, though that’s not how things went. The Rangers had a new mentor named Dimitria, who had a mysterious sister that was teased, but never revealed. The plan was for that sister to be Divatox, though the writers were never able to work it into the season. Instead, when Zordon sacrificed himself at the end of Power Rangers In Space, sending positive energy out into the universe and healing those who were evil, but had once been good, Divatox was healed just like Rita Repulsa and Lord Zedd. The clothes she was given following her transformation were similar to Dimitria’s costume throughout the series, as was her hairstyle, giving fans who had correctly theorized that the two were sisters a nod. For those fans who watched Power Rangers for multiple seasons, Lightspeed Rescue featured one very familiar location when the show decided to introduce Grandma Winslow, grandmother to Yellow Ranger Kelsey. In the episode “The Fifth Crystal,” Kelsey makes a visit to her grandmother, whom she hasn’t spoken to in years, in order to retrieve a family heirloom that the Rangers need. Her grandmother is a wealthy woman who lives in a mansion, but it wasn’t the first time the mansion appeared on the show. 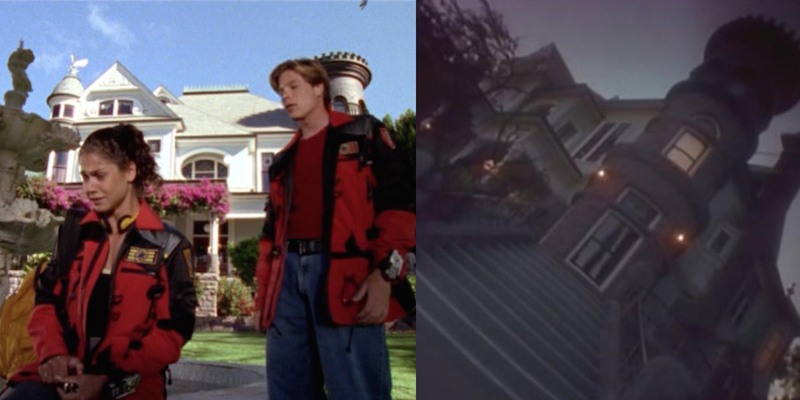 The same house was used four years prior in Power Rangers Zeo when Lieutenant Stone hosted a murder mystery party. The Rangers and a few of their friends journeyed to the house for a night of fake homicide in “A Mystery to Me,” but shot from a different angle, and with a whole lot of darkness, it almost looked like a completely different building. Lightspeed Rescue didn’t just utilize familiar locations; the show also had some familiar faces. When the season finale took a trip to the Shadow World, the resting place for destroyed monsters, there were plenty of familiar faces in the realm. The Shadow Realm didn’t just house fallen villains from Lightspeed Rescue either. 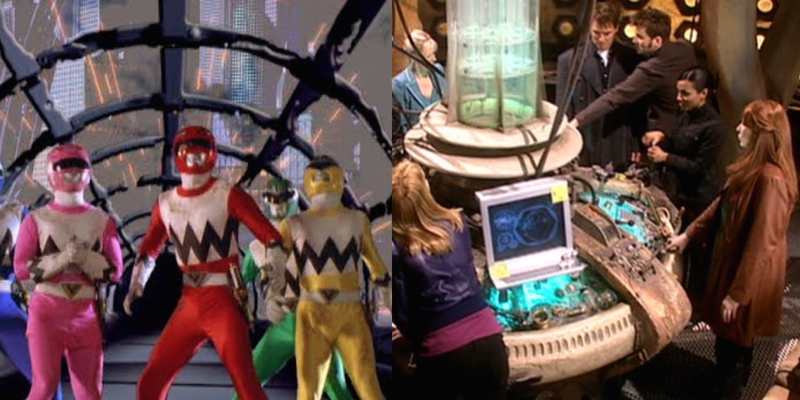 Amongst the monsters viewers could spot were creatures from both Power Rangers In Space and Mighty Morphin Power Rangers. The Psycho Blue Ranger’s monster form, Coralizer, and a group of Craterites from In Space could all be seen there as well as Eye Guy, Hatchasauras, Oysterizer, and even a woman in a Rita Repulsa outfit! There were even a few Beetleborgs monsters in the mix, though the sequence happens so quickly, it’s hard to spot them all. Some monsters would pop up again and again in the series, like the next guy on our list. Oysterizer is one of the most frequently appearing monsters during the Zordon era of the franchise. 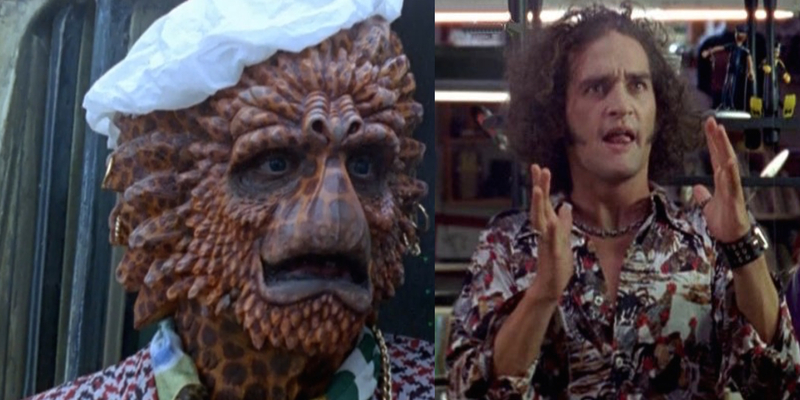 He first appeared on the series in “An Oyster Stew” and was summoned by Rita Repulsa rather than being created by her. Once the Power Rangers defeated him, he returned in “Rangers Back In Time” as a guard for Lord Zedd, attended Master Vile’s End of the World party, and even popped up in the Machine Empire’s arena to watch Tommy and Jason fight in Power Rangers Zeo. In Power Rangers Turbo, he was a member of the United Alliance of Evil out to get rid of Zordon once and for all. In Power Rangers In Space, he hung out at the saloon on the planet Onyx with other villains. Does this mean he was a great monster? No, but it does mean that the costume for him managed to survive any serious damage for at least five years. 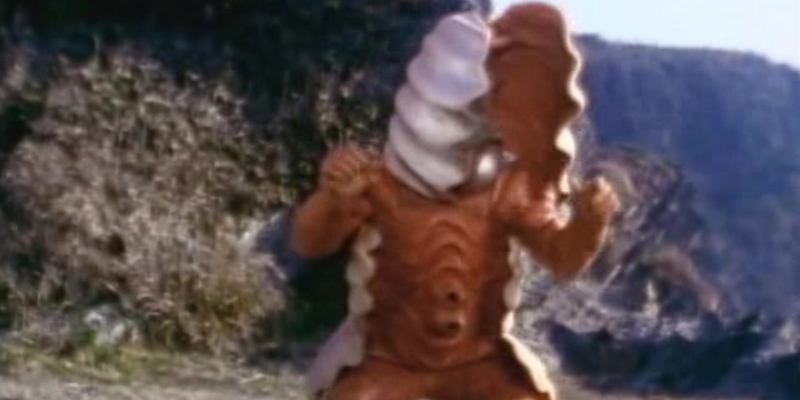 The California based series was unable to use a lot of damaged props and costumes sent over from the original Japanese series, but Oysterizer endured. Time Force’s “Movie Madness” is full of Easter eggs, though some might not have been intentional. In this particular outing, the Rangers get trapped in movie-like dimensions. We already know that Power Rangers is famous for recycling footage, but in “Movie Madness,” locations and props were recycled as well. During the jungle-set movie, those meant to be the native inhabitants wore masks - the same ones from Power Rangers Turbo. In the western, the saloon used was the same set used for the saloon on the planet Onyx. The different movies also foreshadow events to come in the franchise, though that’s likely a coincidence. The samurai movie teases both Power Rangers Ninja Storm and Power Rangers Samurai. The kung fu movie shows fight sequences and training similar to Power Rangers Jungle Fury, and the jungle set movie teases Power Rangers Wild Force. 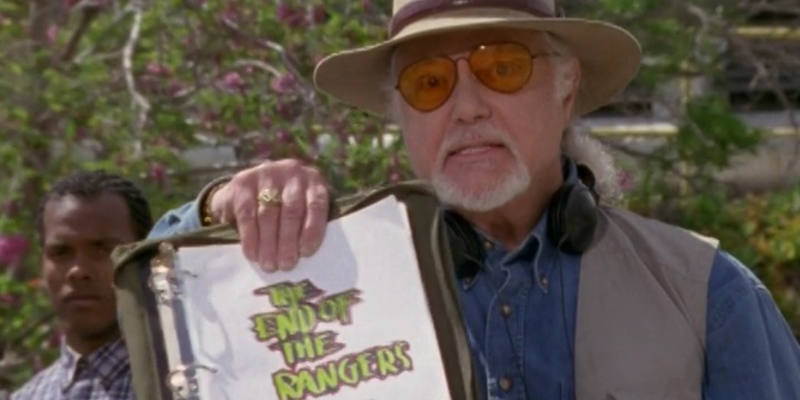 In fact, even the title of the script that puts the Rangers in the movies is used again: “The End of the Rangers” was the title of the Wild Force season finale. Set more than 20 years after the events of the first season, Power Rangers: SPD made the Rangers law enforcement officers. 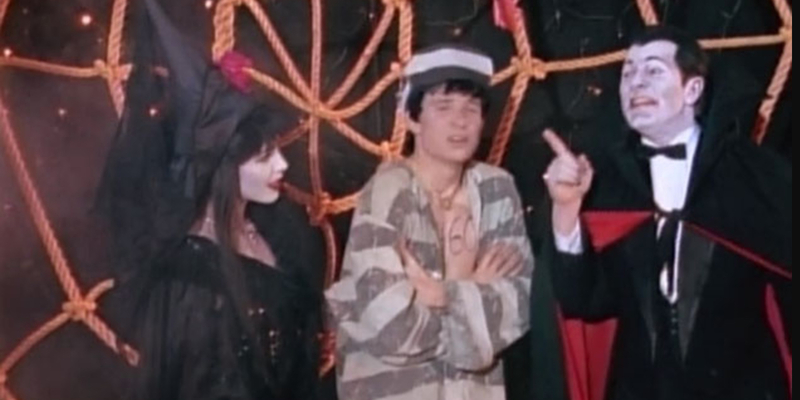 They captured villains and put them in prison whenever possible, and since they operated multiple prisons, one had a callback to an earlier season of the show. Said prison wasn’t even on Earth. Instead, it was in the orbit of the planet designated KO-35, which had been a human colony at one point. SPD Commander Anubis Cruger revealed that they shared the prison with the planet. The prison looked to be built right into rock from the brief glimpse the audience got of it. Fans might remember KO-35 as an abandoned planet when they watched Power Rangers In Space. Red Ranger Andros, Silver Ranger Zhane, and future Pink Ranger Karone were all from the planet, though it had been attacked and abandoned until the Space Rangers helped those who fled return. Two decades later, it was thriving. Despite more than a few Easter eggs being carefully hidden in the early days of the show, Power Rangers became much more self referential as it’s gone on. One of the easiest ways to reference a past episode was of course with a clever title. Dino Thunder, which acted as an homage to the original series in many ways, directly referenced the Mighty Morphin days by naming its first episode after the pilot. 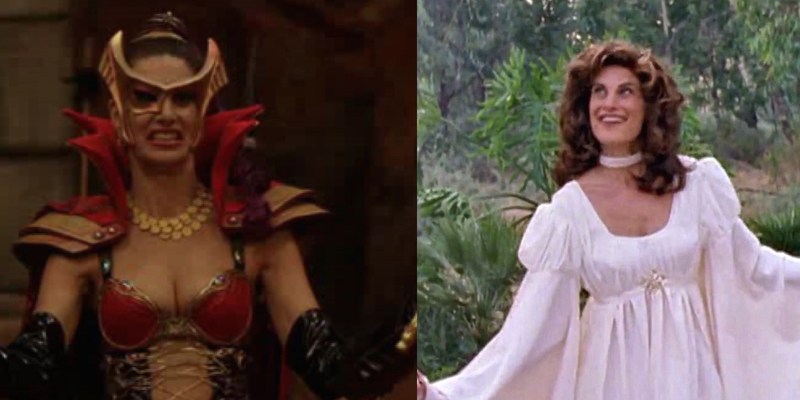 Instead of “Day of the Dumpster,” the writers opted for “Day of the Dino,” referencing activated dino gems instead of an awakening Rita Repulsa. Other seasons have also used similar ideas, but the show doesn’t just reference itself, either. Time Force and Lost Galaxy had massive season finale events that echoed another science fiction series: Doctor Who. The former titled its season finale “The End of Time,” while the latter opted for “Journey’s End,” both of which ended up being titles for Doctor Who season finales, which is a happy coincidence, since they all deal with time, space, and interdimensional travel. If you watched the Power Rangers series in the order they aired, you caught Power Rangers SPD the year before Power Rangers Mystic Force came to television, even though the events of Mystic Force were set some twenty years before SPD. The writers on the series decided to have a little fun with that and inserted a character SPD fans knew well for an episode: Piggy. In SPD, Piggy was an alien who achieved his dream of opening a restaurant, but he was also a reluctant informant for the Rangers, often working with those who were apt to break the law, and therefore, a fountain of information. He appeared in Mystic Force for one scene, recounting his dream to another character and predicting that the city would be crawling with aliens soon. The catch? Barnie Duncan, the same actor that played Piggy in SPD, was actually the man who played record store owner Toby for Mystic Force. Toby was the boss where the Rangers held their day jobs. 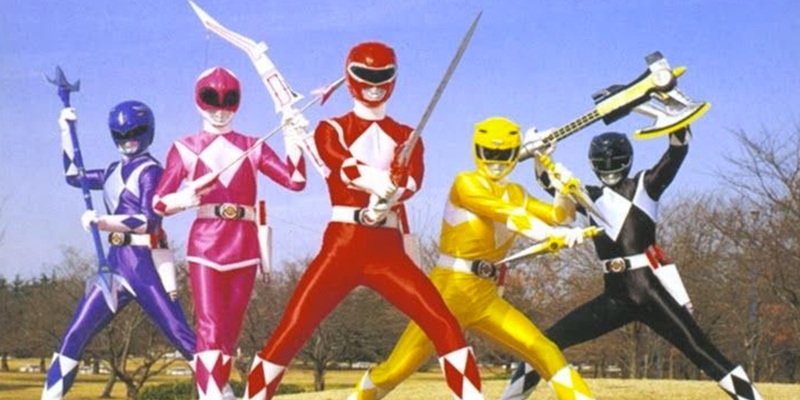 When the Lightspeed Rescue season took place, the characters had a uniform that they wore in addition to their color coded wardrobe, since they were government employees. The red/orange jackets were so bright that they would be easily visible in an emergency, just like what most real life rescue workers wear. They were seen on camera again years later. Lightspeed Rescue Rangers Carter and Dana appeared in the Super Megaforce “Legendary Battle,” and while helping out injured civilians, they sported those same jackets. At least, that’s what the show wanted audience members to think. In the context of the show, the Rangers gave their jackets to the Time Force Rangers in their team up-episode. In reality, the actors of Lightspeed Rescue had been given their own jackets as souvenirs when the show wrapped. Since the prop jackets were gone, the actors used their own for their scenes. Early seasons of the Power Rangers franchise saw older monsters pop up at parties and in the afterlife, but for Dino Charge, monsters from previous seasons appeared on a spaceship belonging to a bounty hunter. Sledge became obsessed with the energems at the heart of the season. Instead of turning in the monsters he had collected for their bounty, he got sidetracked tracking the energems on Earth. His spaceship still houses all those monsters though, and amongst the prisoners are some familiar faces for fans. 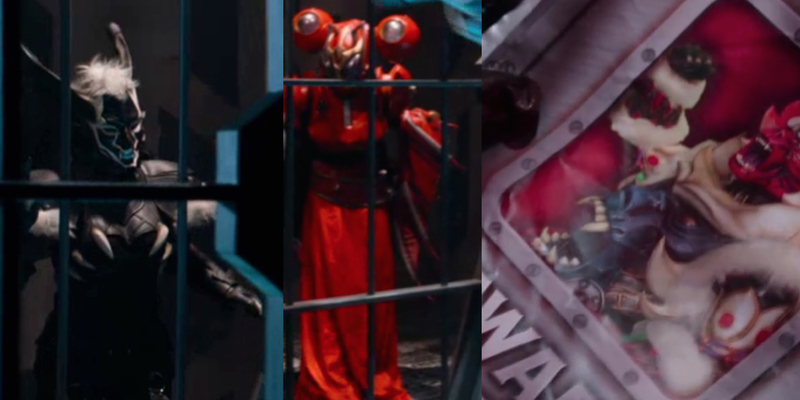 For example, RPM’s Knight Bot is spotted in a cell at one point, as is Mystic Force’s Necrolai, and Ninja Storm’s Beevil. Even the wanted signs on the ship (for prospective bounties) include some Easter eggs. One features Monkeywi from the Jungle Fury season of the show; he’s apparently worth $10,000 if caught. Power Rangers reused footage, props, and locations whenever possible as a way to keep the budget down for the show. As we now know, it also had a lot of familiar monsters pop up in new places. In an effort to keep fans from recognizing too many monsters, though, some of them got a makeover. Sometimes, a costume might get a new coat of paint or switch a head to a new body, as is the case for many of the prisoners in Sledge’s ship in Dino Charge. The mutant orgs, AKA Mut-Orgs, in the Wild Force Ranger team up with Time Force Rangers are one of the best examples of repurposing. The trio of creatures were made up of multiple former monster parts. 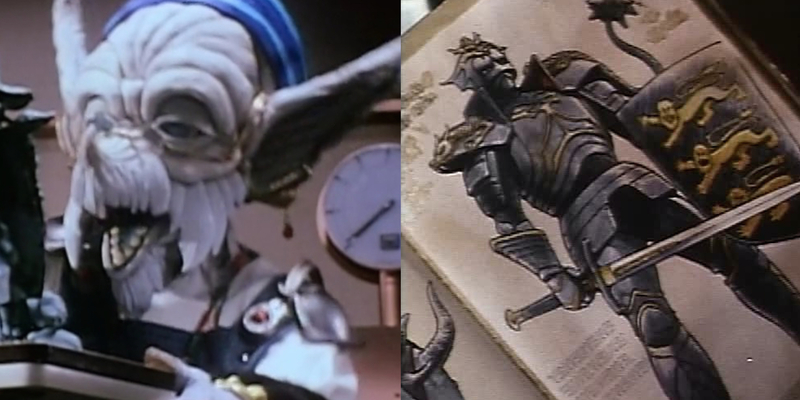 Rofang has pieces of Body Switcher, Darkliptor, Psycho Blue, Striking, and Ecliptor from Power Rangers In Space, as well as the Machine Empire’s Prince Gasket. 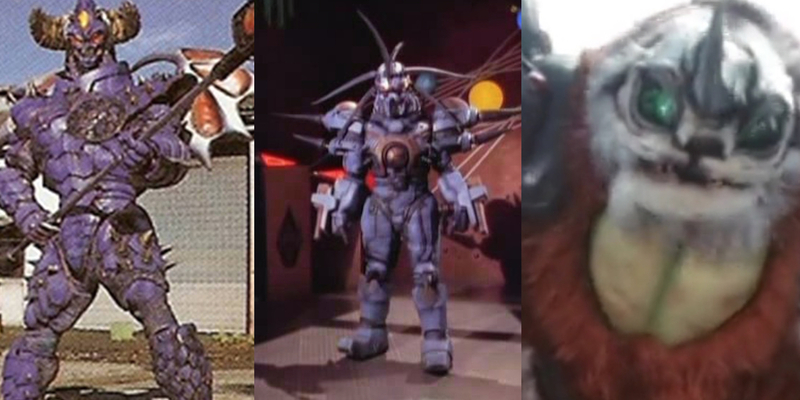 The other two also take bits of pieces from monsters used in different seasons of the franchise, as well as monsters from Big Bad Beetleborgs. Were any of these Easter eggs ones you spotted in the series? Did we miss any major ones? With more than two decades on television, fans will likely be finding Easter eggs for years to come. You can currently search for more in Power Rangers Ninja Steel, which is on a brief hiatus, likely set to return to Nickelodeon with new episodes in August. There are also plenty of Easter eggs in the movie reboot, which is now available on digital platforms, landing on DVD and Blu-Ray later this month.